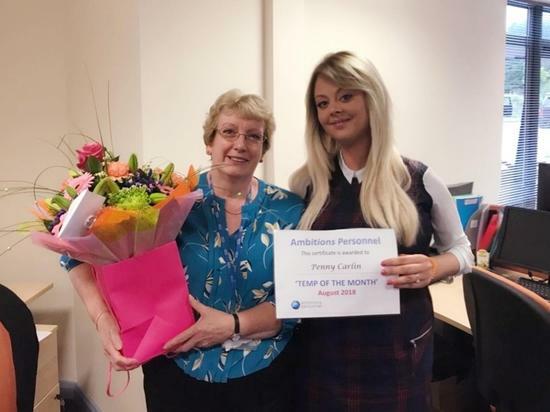 August’s ‘Temp of the Month’ is Penny Carlin. Penny has worked for us for over 10 months at NHS Mansfield and Ashfield Clinical Commissioning Group. She has been a valued addition to their team, the client told us that they couldn’t think of anyone more deserving! We appreciate Penny’s hard work and dedication and are proud to be able to name her Temp or the Month for August! She is pictured here receiving her gift & certificate with our Commercial Consultant Kelly Hughes. For some, returning to work after having a baby is an exciting time, for others, they’re dreading it. For most, it’s a mixture of emotions. We can’t promise it will be all plain sailing, but if you’re heading back to work soon, we’ve collated our top practical tips to try and make life a little easier. Before we start, it’s worth remembering to be kind to yourself. Worries about how your little one is going to settle into life without you and whether they’ll be enough hours in the day, on top of getting to grips with returning to your job are all a perfectly natural part of this big transition. Set out with a positive mindset; see your return to work as a chance to start a new chapter for you and your family. You’ve got an opportunity to re-discover the pre-baby you, so focus on the positives; whether it’s the adult conversations or being able to enjoy a hot cup of tea. Also remember that becoming a parent will have taught you skills that may benefit you in your job, without you even realising! If you’re able to use your ‘Keeping in Touch’ (KIT) days, then this can be a great way to re-connect with your workplace and your role, and they’re paid too! Or, get in touch with your boss or colleagues and arrange to meet for a coffee, that way you can get a handle on what you need to know and what’s been going on (and all the gossip too, of course!). In the weeks leading up to your return, have a day where you practice your new routine; get up, get ready and drop your baby off at childcare, then see how long it takes to get to your workplace. You might also find it helpful to start getting used to being apart from your little one for a period of time. There’s not one solution to suit everyone but many families find it useful to start getting ready the night before; laying out yours and your baby’s clothes, packing their bag for nursery, preparing packed lunches etc. Writing to-do lists, doing your supermarket shop online and batch cook easy mid-week meals are also great time-savers. There’s nothing like a shopping spree (even if it’s just one new outfit) or a new haircut to boost your confidence. If money’s tight, look at your existing wardrobe and plan out your work outfits. Look good, feel good! You might feel awkward about having to take time off work in the first few weeks if your child is unwell or your childcare lets you down, so think about planning for these occasions with support from your partner, family or by having a backup childcare arrangement in place. Look at whether a mid-week return would be an option for you. The prospect of a shorter week initially may seem less daunting, and give you and your baby some time to gradually adjust. Alternatively, you could discuss a phased return with your employer, where you use some holiday for the first few weeks. It’s inevitably going to be an exhausting time. Build a support network of others who are in the same boat. Whether it’s through online communities, baby groups, or even other work colleagues, sharing your experiences and learning from others who have been through the same experiences can be invaluable. Don’t be afraid to enlist family and friends to help you, especially in the first few weeks. Whether it’s just something simple like preparing a meal for when you get home, it can really help take the pressure off until you get used to your new routine. 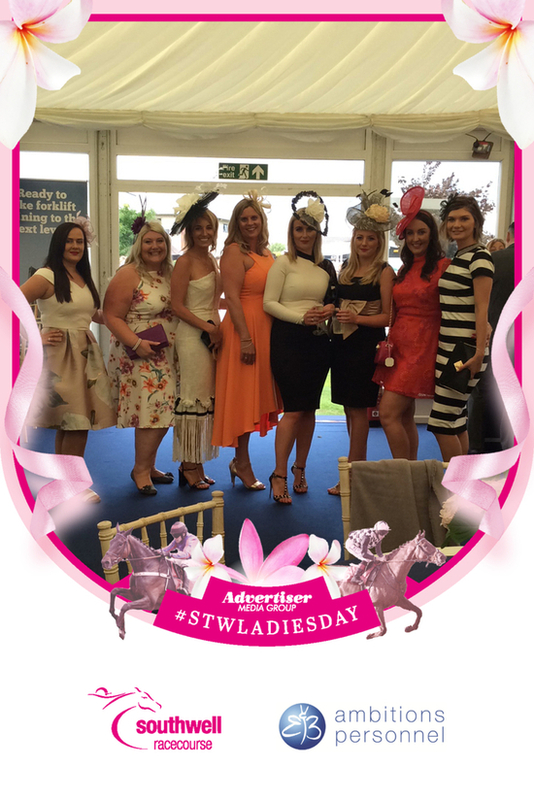 Sunday marked our now annual trip to Southwell Racecourse’s Ladies Day. Our private marquee hosted colleagues and clients on what was once again a great day enjoyed by everyone. It was another packed day of racing and off-course entertainment, attended by thousands of people, thanks once again go to the superb staff at Southwell Racecourse, who helped to make it a memorable day for everyone. We’ve said it before, and we’ll say it again; interview preparation is essential! Often, we focus on all of the things you should be saying during the interview. In this week’s blog, we’re going to look at some of the things which you should *never* say during an interview. Had an interview nightmare? Let us know in the comments below! We get it. Interviews are scary and even the coolest of cucumbers can be subject to a few nerves on the big day. One of the ways nerves can come across is by talking quickly, or perhaps by speaking too much. We’ve all had that feeling when perhaps something hasn’t quite come out as you intended it to! 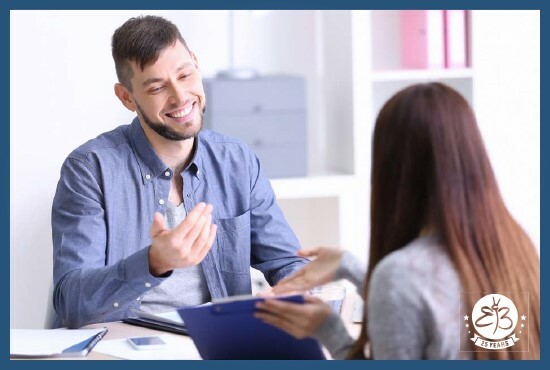 Whereas it’s been said that people who come across well at interview are able to provide quality, meaningful answers in a succinct and considered way. So as part of your preparation for your next interview, in addition to thinking about the things you do want to get across, take a few minutes to make a note of the following topics or phrases to avoid! A potential employer does not want to hear negativity towards your previous role. After all, they’ll be wondering if you’ll be saying these things about them next time around and in the worst cases, they could deem you as being emotionally immature. An interview situation is never the right time to bad mouth or complain (even if it’s true! ); some things are better left unsaid. Focus on why it’s right for you to seek a new opportunity. What’s this job again? What does this company do? You might have applied for several roles and it is easy to lose track. However, do not walk into any interview without being clear on what the role is. Find the original advert, and/or ask if the company have a job description available. It’s also essential to have researched the company so you’re prepared for any questions, or even better, you’re able to drop in some of your knowledge while answering the interviewer’s questions. How much holiday do I get? It’s definitely something you’d want to know before accepting a job offer, but an interview is not usually the right time to raise questions over holidays or other benefits. Tread carefully, you don’t want to appear like you’re just there for the pay packet and can’t wait to be jetting off at the earliest opportunity. If you’re asked any questions about your long-term plans, the interviewer is going to be looking for someone who sees themselves staying with the company, but also for someone who is realistic about their career aspirations. By sounding unsure, the interviewer might suspect that you’re not going to be committed to the role. By sounding over ambitious, your confidence could be misconceived as arrogance. Last but definitely not least, never ever lie to your interviewer! Honesty is always the best policy. 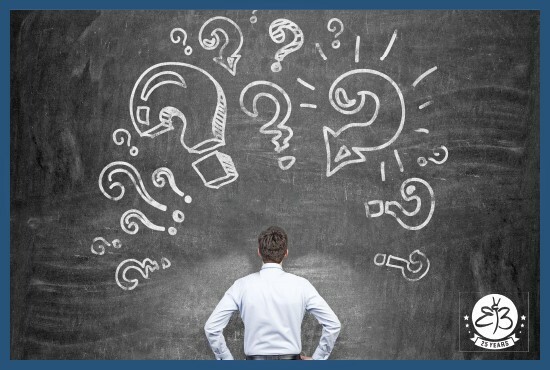 If you know there’s something in your background that you are concerned about (perhaps your school grades or a reason for leaving a job), consider beforehand how you can best overcome this at interview and try to frame in a positive light, for example, by saying what you have learnt from a situation. We know that many of our followers are EU citizens living in the UK, and many of you are worried about your future when the UK leaves the EU in March 2019. The UK Government has now released details of the application system for those who wish to remain in the UK after June 2021. Read our latest blog for more information. We know that many of our followers are EU citizens, and many of you are worried about your future when the UK leaves the EU in March 2019. The UK Government has already reached an agreement with the EU, so although the UK will leave the EU on 29 March 2019, nothing will change until 1 January 2021. The Government have announced that a new EU Settlement Scheme will open later this year, where you’ll have until 30 June 2021 to make an application to stay here. So firstly, it’s important to say that you don’t need to do anything at the moment, you can continue to live and work here with the same rights to public services as you do now. Anyone who moves here between now and 31 December 2020 will be able to apply for settled status. The system will be very easy to use to use. You will only need to type in personal details, prove your identity and prove you have no serious criminal convictions. The system will verify everything else using employment and benefit records. If you have lived in the UK for 5 years, it will cost £65 to apply for ‘Settled Status’, and £32.50 for children under 16. Alternatively, if you already have valid permanent residence or indefinite leave to remain documentation, you’ll be able to exchange it for free. In addition, your existing close family members (spouse, civil partner, unmarried partner, dependent child or grandchild, and dependent parent or grandparent), will also be eligible for the scheme, even if they’re not currently living in the UK. You will need to apply on behalf of your child. If you have a child after getting settled status, they will automatically become a British citizen if they’re born in the UK. You will not need to apply for settled status on their behalf. If you have not lived in the UK for 5 years when the scheme opens, don’t worry. You will be granted ‘pre-settled status’ which can be swapped for full ‘Settled Status’, using the new system, after 5 years. You do not need to do anything just yet. The scheme will open later this year, and the deadline is 30 June 2021, so you will have plenty of time. Your application will only be refused on security or fraud grounds, or if you have serious criminal convictions. There will be no limit placed on how many people can successfully apply. Please note that Irish citizens will not need to apply. Rights for citizens of Norway, Iceland, Liechtenstein and Switzerland are currently being negotiated. If you’re currently working for us and would like any further information or guidance, please don’t hesitate to speak to a member of the team who will be glad to help. We will keep you updated as we learn more about the Brexit process. 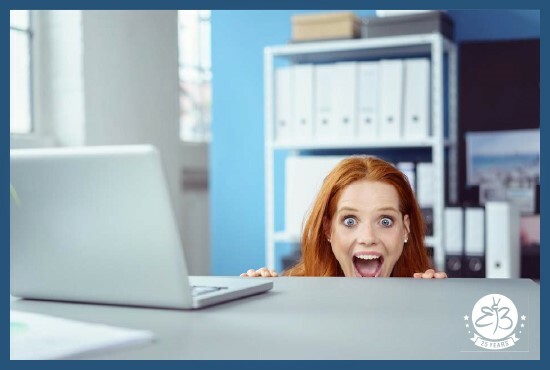 Have you ever experienced a nightmare colleague? Take a look at this week’s light-hearted blog and see if you recognise any of these (or yourself!). Have we missed anyone or do you have a funny story to share? Let us know in the comments below. The one who has mastered the skill of looking busy without actually doing much at all. Not a team player, they’re happy for everyone else to make up for their lack of productivity. You’ll hear them before you see them. Easily identified as they’re usually talking about anything and everything to anyone who’ll listen. This person lives for office scandal, they know who’s dating who and who’s getting fired next. Don’t tell them anything in confidence or risk the whole company knowing within 5 minutes. The wannabe popstar; singing along to the radio or just humming to themselves. Either way, there’s nothing more frustrating than trying to concentrate whilst someone sounds like they’re auditioning for the ‘X-factor’ across the office. Nothing kills a good vibe like a negative person constantly complaining about their workload, management, colleagues, the weather, or anything they can use to spread misery round the office. A source of contention in most workplaces, there’s always someone too hot or too cold. Like a ninja, no one is ever sure exactly who whacked the heating up or down, but all you know is that there doesn’t ever seem to be a happy medium. With a lack of self-awareness, a noisy colleague will happily chew, chomp, sniff and slurp their way through the day. Once you’ve heard it, there’s no going back. Can be useful, but mostly annoying. The know-it-all seems to have experienced every situation going, and their favourite phrase is ‘I told you so’. Got a joke for every occasion. Can be funny, but usually isn’t. Whether it’s that person following a faddy diet and only eating fish for a week, someone who leaves their dried on food stuck to the microwave or someone who forgets they’ve left their food going mouldy in the fridge for weeks, creating a pungent smell in the office kitchen is unforgivable.